Bruce Allen Harrell, who was elected to the Seattle City Council in 2007, has spent over 20 years as an attorney and community volunteer. Harrell was born in Seattle, Washington, in 1958 to Clayton Harrell and Rose Tamaye Harrell. 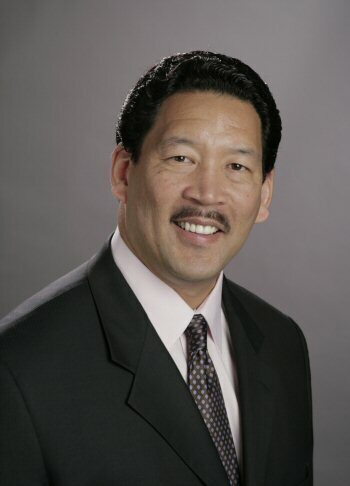 Due to his parent’s ethnicity, Harrell claims both African American and Japanese American ancestry. Harrell’s mother, who was sent to the Minidoka Internment Camp in Idaho during World War II, worked for the Seattle Public Library for 20 years and his father worked for Seattle City Light for 30 years. Harrell graduated class valedictorian in 1976 from Garfield High School in Seattle after receiving nine varsity letters in three different sports. He attended the University of Washington and played football, leading the 1978 Rose Bowl game in tackles and later becoming the team’s most valuable defensive lineman. In 1984, Harrell graduated from the University of Washington’s Law School. Shortly after his graduation Harrell became involved in community issues. When small businesses in South Seattle were threatened with extinction because of light rail construction, Harrell became a key force in the $50 million Rainier Valley Community Development Fund and later served as its legal counsel. He litigated class action claims against large corporations and won substantial settlements for clients who suffered employment discrimination. Harrell was elected to the Seattle City Council in 2007 after campaigning on a platform that emphasized public safety, quality schools, and environmental stewardship. His electoral success came after nearly three decades of service to and advocacy for, Seattle’s children, workers, the disadvantaged and seniors. With the sudden resignation of Seattle Mayor Ed Murray on September 13, 2017, Bruce Harrell, then president of the City Council, became mayor of the city. He held the post for 48 hours, announcing on September 15 that he would ask the full Council to choose another replacement to serve the remaining two months of former Mayor Murray’s term. Harrell is a member of Social Venture Partners and has been the attorney for Mt. Zion Baptist Church and First A.M.E. Church. He is married to Joanne Harrell, general manager of the Executive Relationship Program for Microsoft. The couple has two children. http://www2.ci.seattle.wa.us/ethics/votersguide.asp?e=20071106&p=03_01; http://www.nwasianweekly.com/20072606/harrell20072606.htm; http://www.friendsofseattle.org/2007_city_council_endorsements.php#harrell http://www.seattle.gov/council/harrell/, Seattle Times, September 16, 2017.
http://www.seattle.gov/council/harrell/, Seattle Times, September 16, 2017.